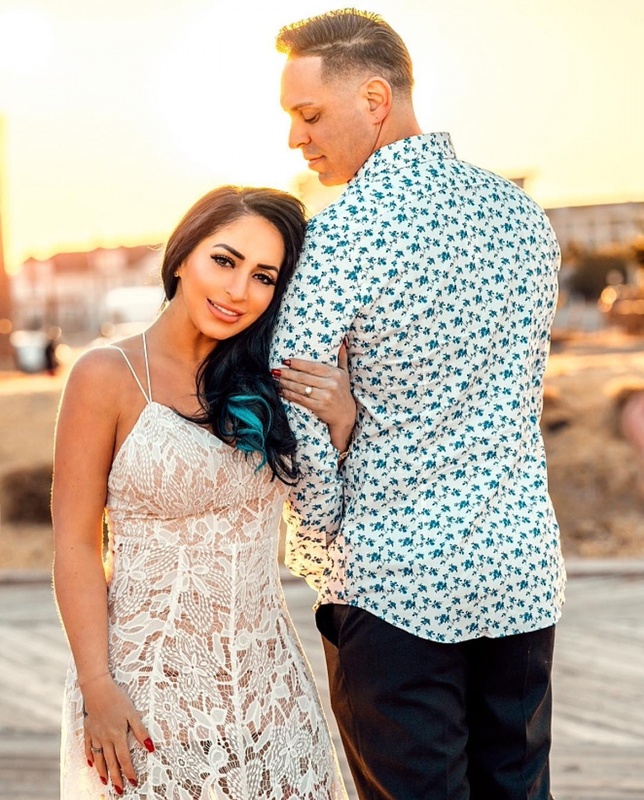 "Jersey Shore" star Angelina Pivarnick is giving fans a glimpse of her engagement photos. The 32-year-old shared one picture on Instagram Thursday, just over 14 months after getting engaged to Chris Larangeira. The snapshot shows Pivarnick holding Larangeira's arm during a walk along a beach. Pivarnick said the photos were taken by Anthony Serrantonio. "My rock @chris_e_piss_e My everything," she captioned the post. "#engaged #engagementshoot #finally #tookourtime." Pivarnick told E! News in an interview Wednesday she loves the way the photos turned out. "I've been waiting for over a year to do this shoot and I wanted the right photographer for the job," the star said. "Chris and I have been so busy with our new house and planning our wedding. I am so excited for our wedding to finally happen," she added. Pivarnick and Larangeira got engaged in January 2018. Larangeira voiced his love for his future bride in an Instagram post on Valentine's Day in February. "Happy Valentines Day to all my loves, especially my one and only and my best friend @angelinamtv," he wrote. "I love you more than life itself." Pivarnick came to fame on the MTV series "Jersey Shore." She appeared in the new series "Jersey Shore: Family Vacation," which will return for a third season this year.